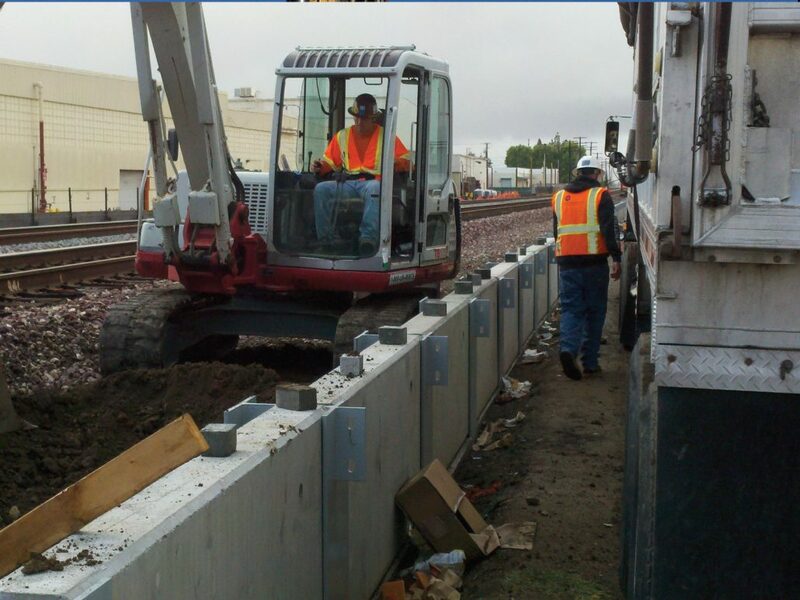 Summit provided both in charge environmental consulting and contracting services as part of the Burlington Northern Santa Fe (BNSF) Placentia Avenue Grade Separation project. This was the first of seven-grade separation projects along the BNSF/Orangethorpe Corridor being constructed in the Orange County Bridges program. The construction project consisted of lowering the Placentia Avenue roadway under the BNSF tracks to provide a grade-separated crossing. Construction of bypass tracks and a temporary detour road were necessary to construct the Project. Summit’s scope of services included work reviewing existing environmental reports for the site, as well as the completion of the following plans; Site-Specific Health and Safety Plan, Sample and Analysis Plan, and Soil Excavation Management Plan. The field services included soil sample collection along 2,300 feet of track, soil analysis and characterization, and stockpile sampling. Statistical analysis and perceived options for hazardous material disposal and reuse, in addition to management of the transportation and disposal of over 130,000 tons of non-hazardous and California Hazardous soil, were completed by Summit.